While details are still a little sparse, it’s claimed that Chelsea will be channelling the Gettysburg Freedomhawks* when they turn out at Stamford Bridge next season. 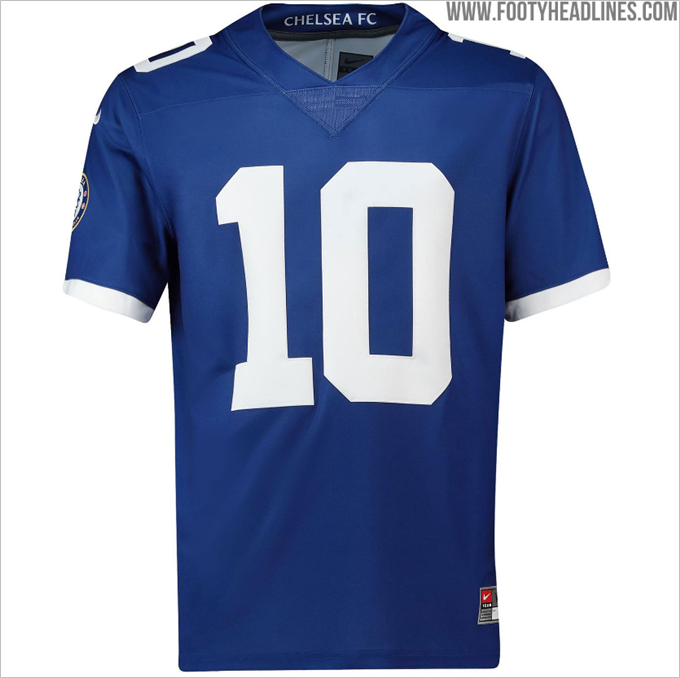 After being tipped off by a “reliable source”, indomitable kit narcs Footy Headlines reckon the Blue’s new Nike home strip will feature an “NFL jersey-style” collar. Can’t quite envisage Eden Hazard swanning about in that one, though that may be because he’s a Real Madrid player by this point in our projected timeline. 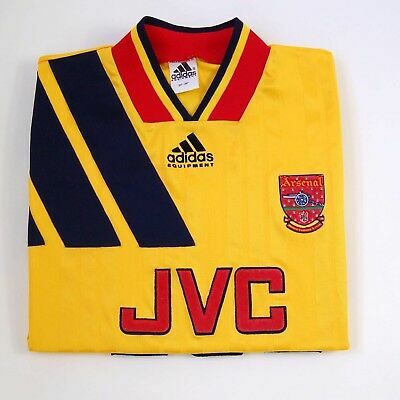 Those oversized, neck-chafing collars are always the worst bit about most retro kits, so we’d implore Nike to have a re-think before revisiting such a restrictive design element. 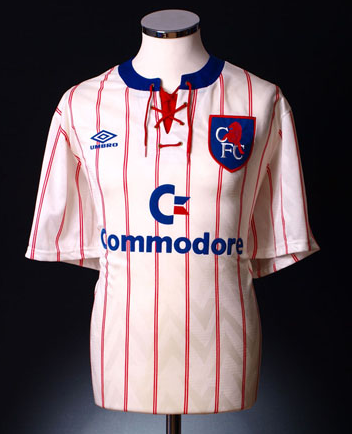 If they have to delve into the annals, why not give the classic ‘Chelsea 92-94 away’ neckline a reboot? Other than it being entirely hideous, give us one good reason. It’s a very Chelshish thing to do, eh? Very Cityshish. Very PSGshish… Very rich “club” with no history looking for new idiot fans but we all knw that.